Chairman of the PDP special national convention committee, Governor Ifeanyi Okowa has reassured Senator David Mark and other presidential aspirants of the party that members of the committee will be impartial to ensure that a free, fair and acceptable primary is organised. 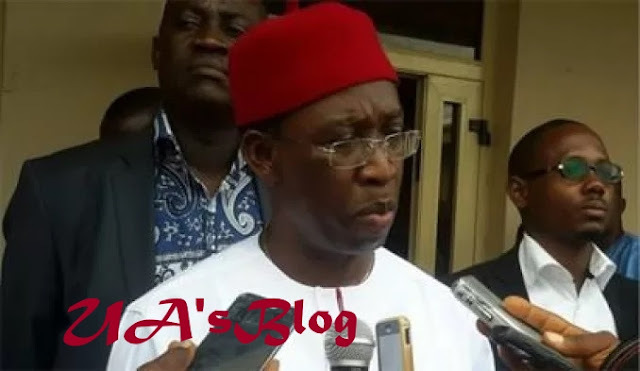 Okowa made the disclosure on Thursday, September 27, in Asaba, when former Senate President, Senator David Mark, paid a consultative visit to delegates to unveil his programmes if elected as the presidential flag bearer of the party. Governor Okowa said: “As the chairman of the convention planning committee, I am expected to be neutral, we (members of the committee) have committed ourselves to organising a convention that will be free, fair, transparent and acceptable to all and we stand by our word. While stating that most of the presidential aspirants have visited the state to canvass for votes, Governor Okowa observed that the party parades an array of credible people aspiring for the position. Recall that Governor Okowa was on Monday, September 24, inaugurated as the Chairman of the committee by the deputy national chairman of the PDP, Elder Yomi Akinwunmi. Akinwunmi inaugurated the committee on behalf of the chairman of the party, Prince Uche Secondus, at the national secretariat in Abuja. Ebonyi state governor, Dave Umahi will serve as secretary to the committee for the convention scheduled for October 5 and 6.